Author: Slovo, Gillian Set In . . . Loyalties, beliefs, love, family ties: all are tested to the limit in one of the most devastating moments of human history: the siege of Leningrad during World War II. Boris Aleksandrovich, a well-meaning bureaucrat, thinks he can negotiate between idealism and politics. His daughter, Natasha, learns otherwise when, as a young woman in love, she is almost crushed by her father's compromises. Watching all this unfold is Irina. Wise, ironic, marvelous Irina, whom Boris had persuaded to go on an ill-fated voyage to the Arctic Circle, where she barely survived. When she arrives back in Leningrad, he feels honor bound to find her a position within his family circle. Irina comes to understand how love for another may, in the end, be more powerful and more profound than blind loyalty to an idea. 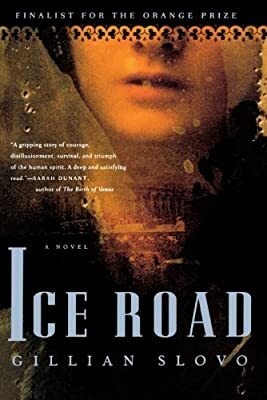 Exciting and heroic, peopled with wonderfully complex characters, Ice Road is a masterpiece. A finalist for the Orange Prize.